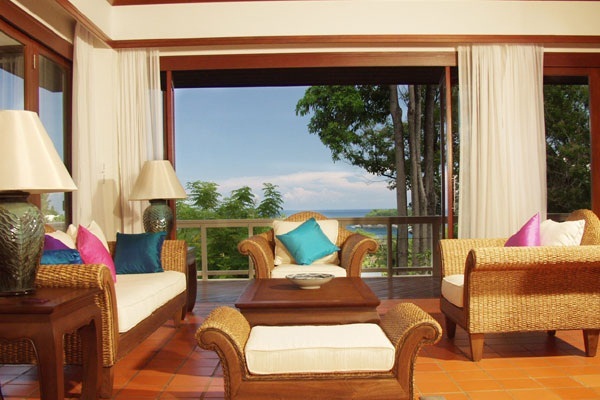 This is an exclusive luxury villa estate, overlooking two of the finest west coast beaches, Kata and Kata Noi. This project is being developed as a private estate, planned, built and managed to the highest standards by an experienced international property group. It has been developed with comprehensive resort recreational and management facilities; ideal both for lifestyle and investment. The Clubhouse complex is fully operational, with a large free-form pool, floodlit tennis court, fitness center and full resort management facilities. The comprehensive infrastructure is supported by extensive landscaping, perimeter walling and full-time security. 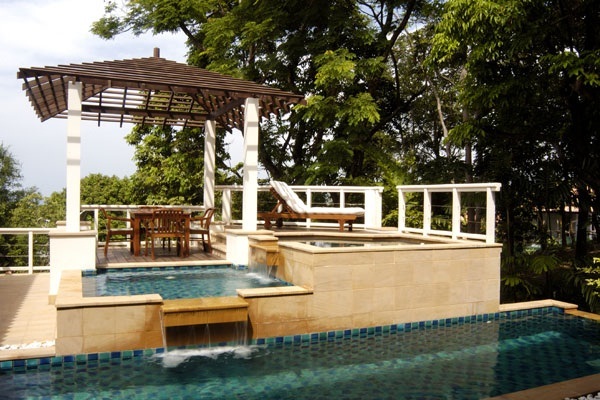 The villas offer a sophisticated yet casually elegant environment, designed for modern tropical living. Living areas and bedrooms are linked by decks, walkways and stairways to suit the natural land and rock formations of the site and common views. They are designed to provide privacy with an outdoor-indoor tropical lifestyle. A few of the 2 to 5 bedroom villas are still available. Each has its own private pool. The property is a 2-storey with 4-bedrooms + 4 en suite bathrooms, villas sizing is 1,087 Sqm on the land plot of 1,584 Sqm. All spacious and air-conditioned living areas open to the outside sun deck, emphasizing the indoor-outdoor tropical living environment. A Thai style sala between the pool deck and kitchen provides an ideal setting for outdoor dining and relaxation. All en-suite bedrooms are generously proportioned, opening to a veranda overlooking the extensive outdoor terrace and private swimming pool of 10,8m x 4m. The master bedroom features a landscape screened outdoor bath and shower. There's also a maids quarter available. 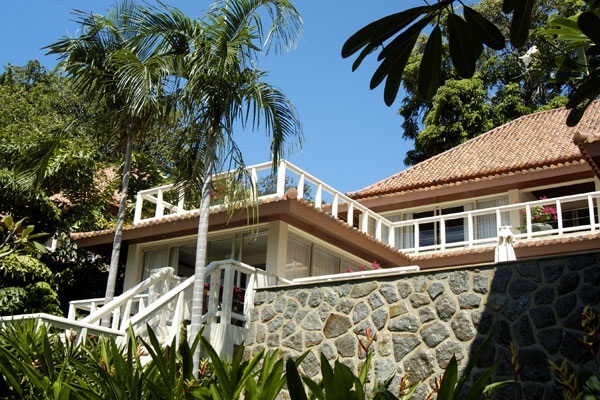 The villa is recently completed and attracting attention at 65,000,000 Thb. This walled and gated, luxury villa estate, with 24-h security is already fully operational. 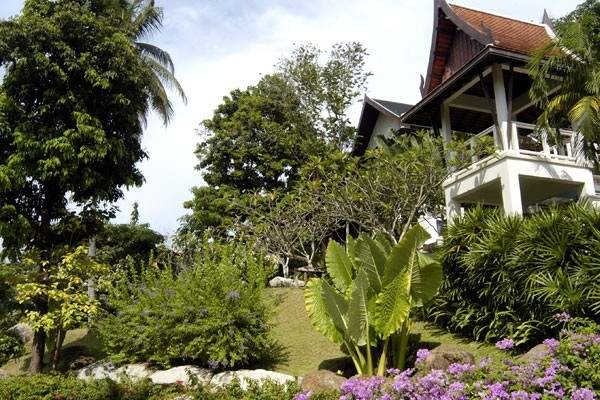 Should owners wish to rent out their villa to guests, there is a substantial demand for quality villa accommodation in Phuket. The reception, services and back-of-house areas at the clubhouse, together with the range of recreational features, have been designed to service villa rental guests. Villa guest services include reservations, reception services, maids--housekeeping services, linen and laundry services, concierge and business services.